Success isn’t the product of effort alone. It requires alignment with our subconscious. To create such mental conditions to achieve our goals, we must overcome our false self. Our mind is the supreme energy that translates our perceptions into emotions, reasoning, and logical understanding. If this process is carried out with awareness, we achieve inspiration that will lead us in the right direction. The philosophy of Advaita declares that everything is the manifestation of one. It has been demonstrated by science, which states that everything within the grid of the universe ultimately blends into one. Do whatever you do—from eating fast food to using your mobile phone to styling your hair in the latest fashion—but always question why you do these things. Society pollutes our mind by selling us wrong inspirations, and we fail to differentiate between what is necessary and useful and what is not. So, always question your thoughts and actions. Question your motivations. Although this world may be a stage, we mustn’t be mindless actors following the direction of the culture but rather we must determine what actions are appropriate to align with our true self. Real inspiration happens when we’re awakened within. We evolve into a particular belief, which is deeply personal; yet, our self is intimately connected to all. With this inspiration, we act. If our inspiration and creativity are blocked, these actions become dull and mechanical. If we’re truly inspired, our work habits will reflect this. With a clarity of purpose and a good job habits, we create a positive mindset, which is the foundation for success. We aren’t born with discipline; we must cultivate it. It is much easier when we see how good work habits result in positive outcomes. Work practices don’t only have to do with discipline. They’re influenced by our beliefs and our goals. With the clarity of mind, we can see the steps necessary to achieve the target we’ve set for ourselves and plan how to accomplish that path. I differentiate habits into the categories of EH and IH. EH is a useful habit and IH is an ineffective Real. If you look at your habits using these lenses, you’ll identify which habits are helping you to achieve goals and which are not. When you have this awareness, your rate of success in any of your endeavors increases. Consider your work habits (which we might also call attitudes or mental states). Getting angry is a work habit, although it may not seem so at first. Feeling jealousy at another’s success, using foul language in the work environment, speaking without reflecting on what you’re about to say, not listening, disrespecting other’s words and ideas are all work habits, and these clearly fall into the IH category. Watch your thoughts for only an hour while at work and note how often you feel or behave in negative ways. You can be sure that if your ideas and actions are “garbage,” garbage is what you’re producing. If you remove the garbage from your thoughts and consciously replace it with positive thoughts, your habit of negative thinking will gradually change and your efficacy—not to mention your happiness—will increase. Why? Say you get angry at a trivial comment made by a co-worker. Consciously notice yourself getting angry and formulating something nasty to say to this person and, instead, replace this thought with one of coolness and neutrality. Say to yourself, “What she just said is irritating, but I don’t need to react to it. It’s no big deal. I’m not going to sweat the small stuff. She’s a human being, and she’s entitled to say what I consider to be something I consider to be rude.” Having such mindfulness when one is feeling anger isn’t easy, but, with repeated practice, it’s possible to change your automatic thoughts and behaviors. It all comes down to self-confidence. You must believe you’re worthy in the eyes of God, and that God loves you—and everyone else, too. If someone does or says something that annoys or hurts you, that’s her problem. It has nothing to do with you. You—and that person—are children of God, but often we’re disabled children who’ve forgotten that we’re divine. So we seek to hurt and diminish others. Self-confidence, in this higher sense, has tremendous importance. Without it, you won’t be able to strengthen your positive and productive habits. 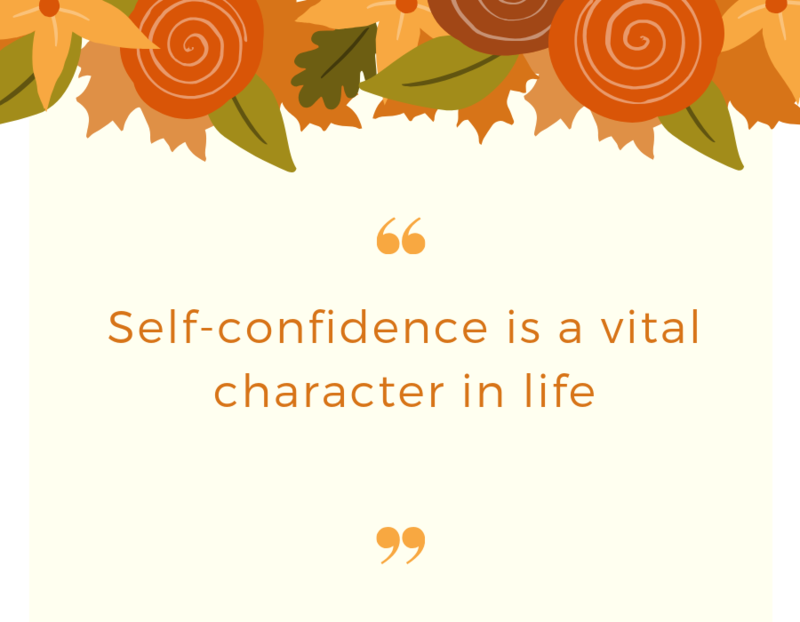 Do you truly have such self-confidence? If the answer is yes, you’ve received one of the greatest blessings. You’re able to identify and change your ineffective habits and multiply your effective habits. Because God created us, He, by definition, has confidence in us. Our goal is to encourage ourselves so we can reduce the gravity of our ineffective habits. I’ve noticed that people don’t break down because they feel a lack of confidence but because they feel whatever they do will have no effect. We must have faith in ourselves and believe in our Creator/God. With the help of positive thinking, we can overcome obstacles and use perceived barriers to our advantage. To achieve success, we have to increase our effective habits. To this end, the eminent inspirational writer William A. Ward has developed four steps: plan purposeful, prepare prayerfully, proceed positively, and pursue persistently. In addition, we must work to rid our minds of hatred, resentment, jealousy, and all forms of ill will. We must forgive everyone for whom we feel resentment and make amends for our own wrongdoings. God produces no garbage. We are all beloved of Him. Think about it: When you’re born, you have no habits. You smile without any pretension. All you have are your instincts and your spirit. True success comes when you regain the openness and simplicity of a child’s mind. You see that all are suffering, all are children of God, and compassion is your most powerful work habit. You’re at work, and your least favorite colleague comes up to you and makes an unkind remark about the shirt you’re wearing: “I haven’t seen a shirt like that in decades. Where did you get that, at a second-hand store? What color do you call that?” The colleague smirks after asking these questions. As it happens, this is one of your favorite shirts and, yes, you’ve had it for a few years, but you always thought the color looked good on you. What do you feel? Anger, embarrassment? What do you feel like saying or doing? Probably not something very kind. But, as you stand there looking at this person, you take a step back, mentally. You ask yourself, why does this person behave this way? It’s almost as if they’re doing their best to make you not like them. Imagine how their mind must always be to be so offensive to others. Certainly, they don’t have many friends. How badly must they feel about themselves that they have to belittle others? Once you have these realizations, you feel differently about this aggravating person. Yes, they still irritate the hell out of you, and you don’t like being around them, but you see they’re carrying their hell around in their mind and acting out of that. So, what do you do? You feel the self-confidence of knowing God loves you, and you feel God’s compassion for all his creation—which includes this person before you—and you say, “As a matter of fact, I did buy this at a second-hand store, and I love it. It makes me happy whenever I wear it.” Then you wish your colleague a good day and get on with your work.